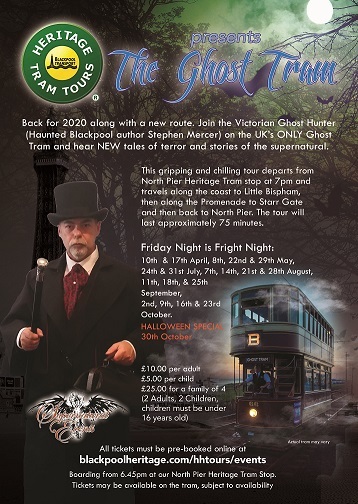 Blackpool Heritage Tram Tours and Supernatural Events present the UK's ONLY Ghost Tram tour. 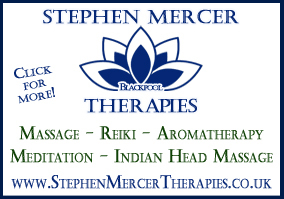 Those who are brave enough to join The Victorian Ghost Hunter (Haunted Blackpool author Stephen Mercer), onboard The Ghost Tram will travel from Blackpool to Fleetwood and back to hear about the Ghosts of the Fylde Coast. Join your ghost host throughout 2019 and hear NEW tales of terror and stories of the supernatural along with, of course, a few old favourites! This gripping and chilling tour begins at 7.30pm from the North Pier Heritage Tram Stop (next to the Tourist Information Centre, Festival House, The Promenade) and lasts approximately 90 minutes. Fridays: 12th and 19th April; 24th and 31st May; 26th July; 2nd, 9th and 16th August; 6th, 13th, 20th and 27th September; 4th, 11th and 18th October at 7.30pm. 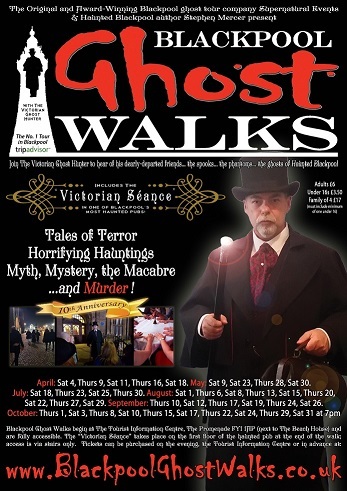 Visit our Diary page for details of other Supernatural Events, including Ghost Hunts, Ghost Tours and Blackpool Ghost Walks!